Chicago is known for its spectacular cityscapes and beautiful historic buildings. 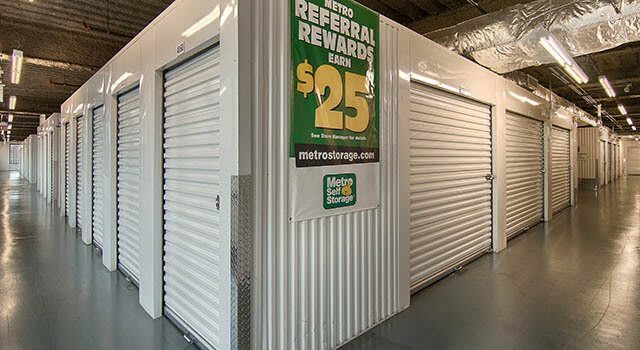 Situated in the heart of River North, Metro Self Storage is located on the southeast corner of N Desplaines and W Grand Avenue. Our climate-controlled building means you are getting the right storage for your stuff to maintain its quality and longevity. A combination of Chicago heat and humidity means stored items can be at risk in non-climate controlled facilities. Moreover, you will be more comfortable in a climate-controlled environment to store your belongings. Climate-controlled storage units range in size from 5X5 to 10X30 offering you the ultimate in service and convenience. 10X30 commercial storage units are like having a mini warehouse space just around the corner. Our River North climate-controlled storage building provides a barrier from city pollution and pests. When you pair our easy to reach location and extended access hours with our world class customer service, it's easy to see why so many Windy City dwellers from River North, South Loop, and the Gold Coast choose Metro Self Storage.